Massad Barakat-Devine, known professionally as Massad, is a 24 year old, up and coming New Zealand pop star, TV host, and model. He has risen to prominence with the release of his two EP’s, Long Story Short and Overture, along with his co-hosting duties on the TV2 show, The 4.30 Show. In August of 2013, Massad released his single “Girl Next Door”, along with its accompanying music video. “Girl Next Door” has amassed over eight million views on Youtube, and reached number 33 on the New Zealand pop charts. Massad wears red high top chucks while playing an acoustic version of the song. The song is an upbeat pop track that slowly transitions into more of a dance track on the choruses and towards the end. The lyrics are about how no other girl makes Massad feel like the girl next door does. She’s everything he could ever want and more, yet they aren’t together. She talks about them like they already are a couple, but she continues to play with his heart for some reason. Throughout the song though, Massad talks about how today is the day he’s going to tell her how he feels, because no one makes him feel more alive. It’s a good song with a catchy hook that will resonate with anyone who has ever had a childhood crush that you thought was the one. This is the moment when he knew she was the one. The music video was co-written by and stars Social Media influencer Jamie Curry as the eponymous girl-next-door. 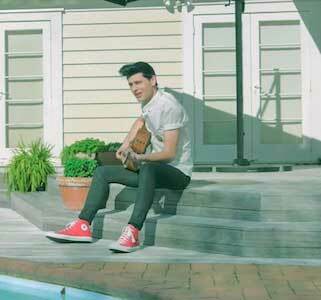 The video begins with Massad singing an acoustic cover of the song by his swimming pool. We then see Curry hoping over the fence. We see that she’s a bit of a clutz and not the typical bombshell girl next door. 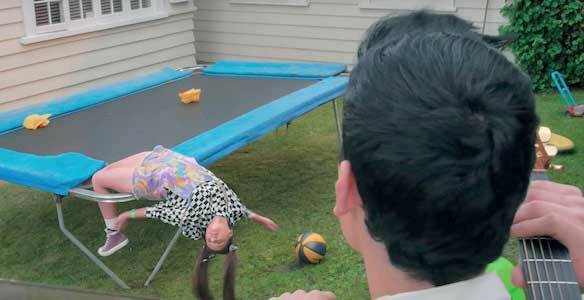 However, we quickly see that that’s what makes Massad crazy for her. The video shows them goofing off together at school, going to a dance and just generally being silly. The duo both wear chucks throughout most of the video. 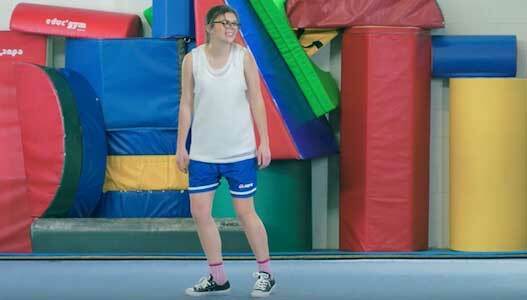 Massad wears a red pair at the beginning of the video, and switches to a white pair for the scenes in the gym. Jamie wears three different colors over the course of the video: purple, black, and white. The video is pretty funny and cute, showing that “the one” doesn’t need to be perfect, they just need to be perfect for you. Jamie Curry shows off her moves in a pair of black chucks. Click on the links below to get a new pair of chucks to court the girl next door.